The National Transportation Safety Board has opened an investigation into a recent fatal Tesla crash in Mountain View, California. 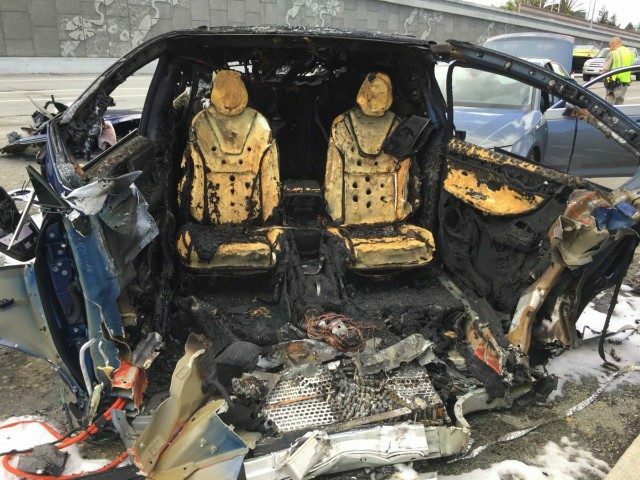 According to the California Highway Patrol, a driver was killed when a Tesla vehicle collided with a freeway divider causing a fire and shutting down two lanes on the freeway. This isn’t the first time that a Tesla vehicle has been involved in a car crash, in January of this year the NTSB began gathering data on a case where a Tesla Model S sedan rear-ended a fire engine in Los Angeles. NTSB spokesman Chris O’Neil said in a statement that the board has not opened an official investigation into the crash but has begun gathering information on what happened. The driver of the car in the Los Angeles incident said that he had the autopilot system engaged when he hit the fire engine traveling at approximately 65 miles per hour. The fire engine was reportedly on the shoulder of the road while assisting at the scene of another accident. The Culver City Firefighters Twitter account tweeted out photos of the crash, stating “Amazingly there were no injuries.” Sadly, the same cannot be said for the most recent Tesla crash in Mountain View, California, which took the life of the car’s driver.